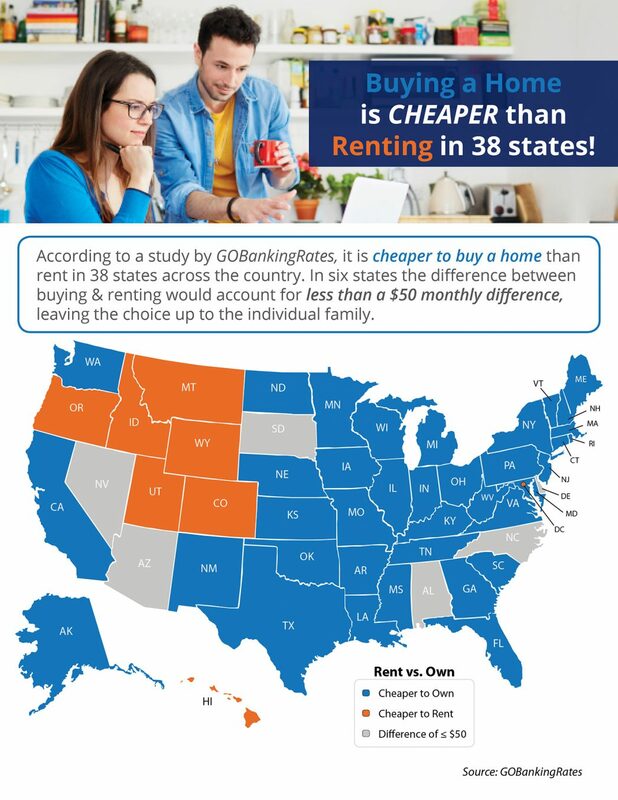 Buying a Home is Cheaper than Renting in 38 States- including Illinois! As you can see, here in Illinois it is found to be cheaper to own than to rent. If you'd like to get out of renting and into a home of your own, give me a call today and let's talk about it.